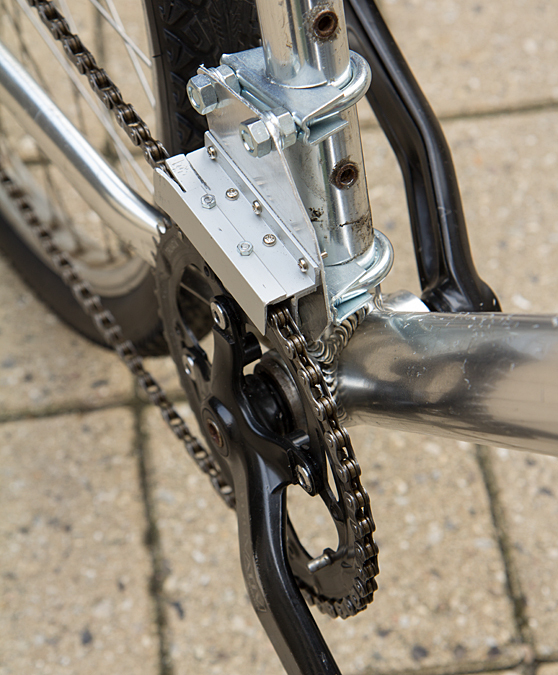 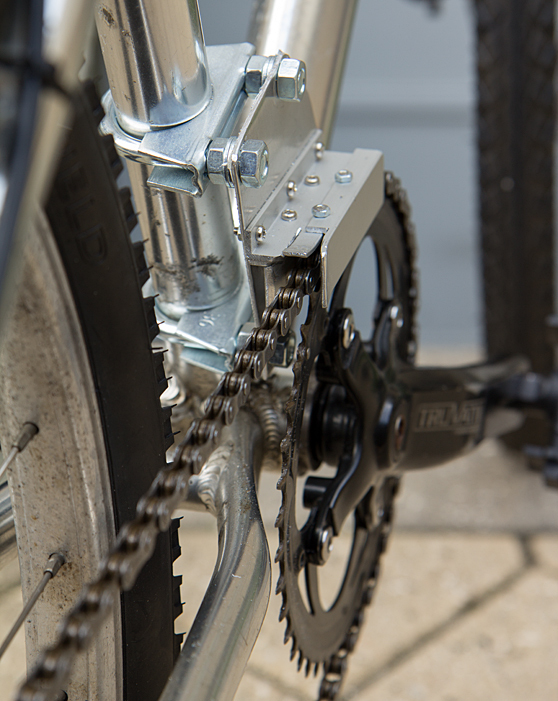 On derailleur gear bikes with only one chain ring in front, a chain guide may be necessary to prevent the chain from jumping off the front chain ring during gear changes or when riding rough terrain. 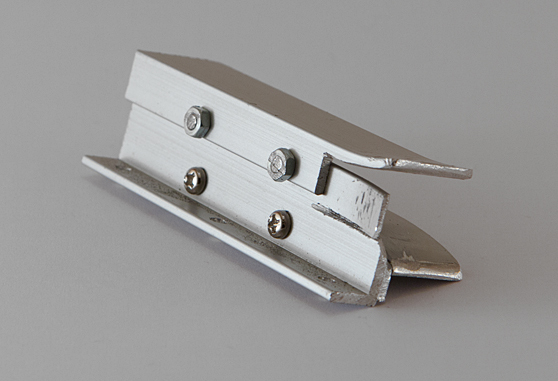 For some reason, these simple devices are quite expensive for what they are (simple plastic/metal devices with no moving parts) so I decided to instead build my own. 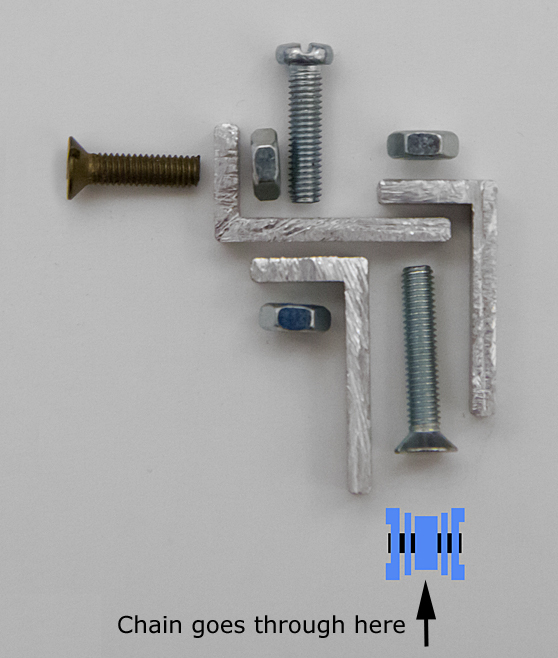 Bolt the pieces together and bend out the receiving edges to better catch a wobbling chain.